I cannot believe it’s been more than a month since I walked down that sandy aisle to a new life with my Bear. It was the perfect day. Not perfect in the sense that nothing went wrong, not in the least, but perfect in that everything happened as it should have. I woke up at 5:30, credit to me being a creature of habit or I was just too excited to get the day started. No one else was awake so I watched the repeat of the Australian Open semi-finals. I had a bout of flu during the week building up to our day and was worried about not being able to sing to my husband. The morning was filled with lots of tea, resting my voice and visiting our spot on the beach for one final check in. 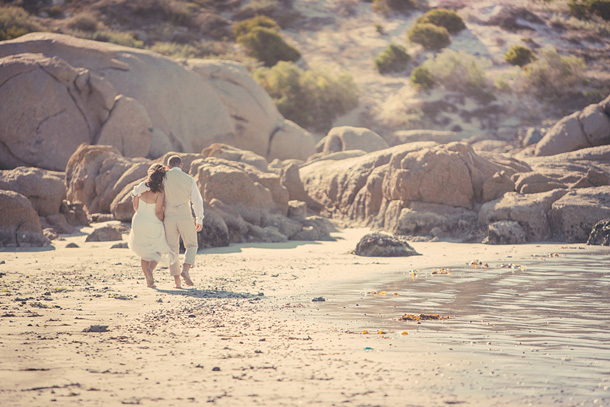 It was a beautiful day in Paternoster and I knew that this would be the best day of our lives. My good friend who was set to do my make-up got lost while driving. The wind was howling and was so strong my veil blew out of my hair while I was walking down the aisle. My nephew, our ring-bearer did not have the rings at the start of the aisle right before we were about to start the procession. The reception venue was not set-up according to the original plan and a pillar blocked our view of two tables. My father’s speech was so long we nearly missed our sunset photo opportunity. All of these (and more) give us so many stories to tell and stories to smile about. If everything went perfectly it would be a splendid day, I am sure, but with these little mishaps and near disasters all form part of the overall joy and bliss of the day. There were so many highlights on the day. If I had to pick one it would be seeing my Bear for the first time, running down the aisle and kissing him as soon as my father gave me away sending everyone in a flurry of giggles. I simply couldn’t contain myself. It’s simple really. You need to enjoy the day, the whole day. Take it in as much as you can. Look your husband in the eye throughout the ceremony and your vows. All of your guests, your family and friends are there to witness your love and to witness your story. If you don’t get to hang out, dance and chat to some people so be it. You can catch up with them at a later stage. This is your day; make sure you spend it with the man you’re spending your life with. 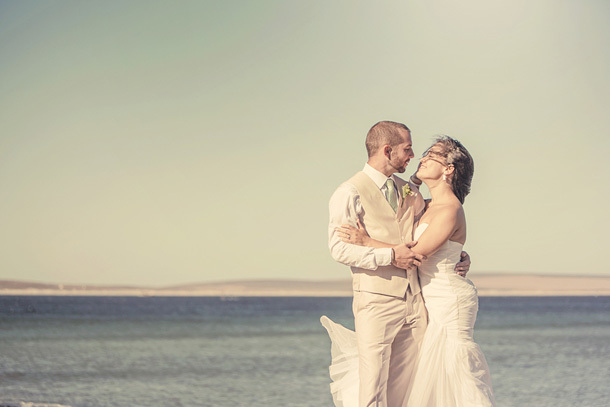 Read more from Elle as she planned her wedding in our Bride to Be section. Elle’s Bridal Diary: To Engagement Party or Not to Engagement Party?